Draw a Sigil of each faction from your deck. Tribute: Play them Depleted instead. What a horrible card? I guess it's going to become shiftstone. 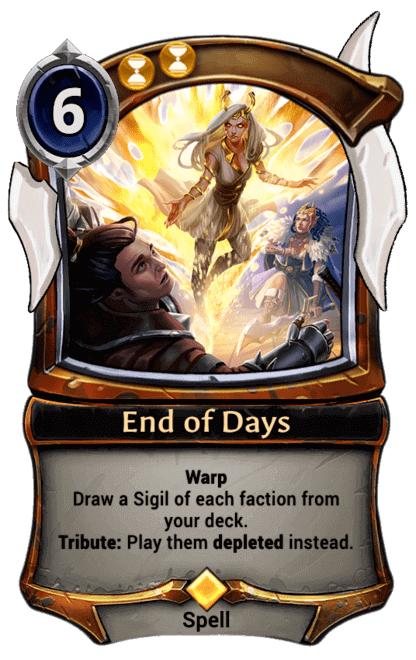 probably one of the worst card in the history of eternal? and I already drew 3 of it.